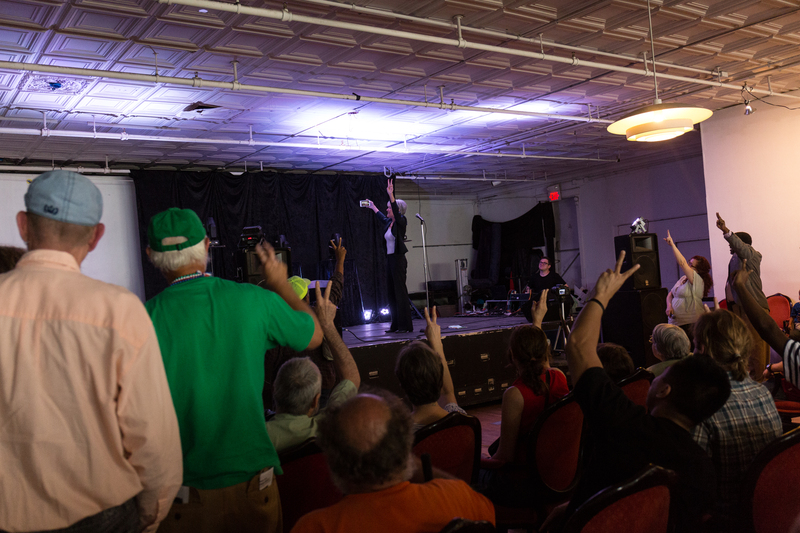 I’m back in the Midwest and on Sunday July 3 I shot a campaign rally for Jill Stein in St. Louis, MO. 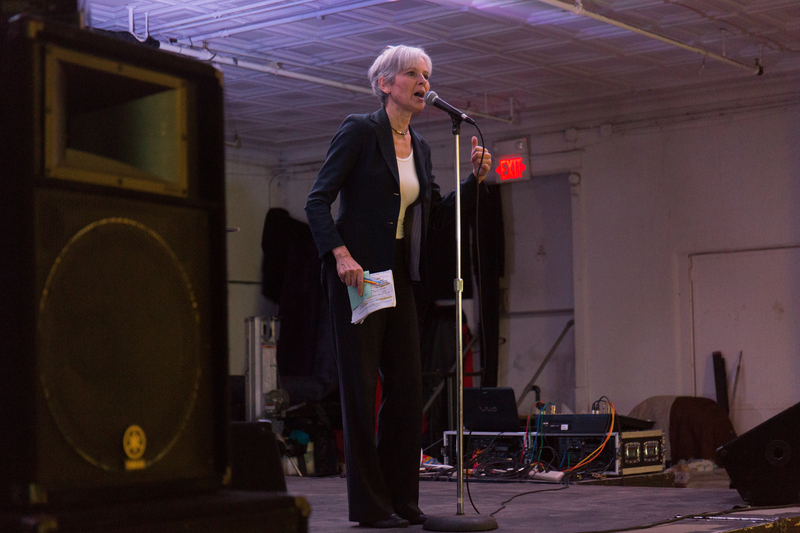 Around 200 Stein supporters filled the upstairs room of the 2720 Cherokee concert venue in St. Louis to hear the presumptive Green Party nominee speak. 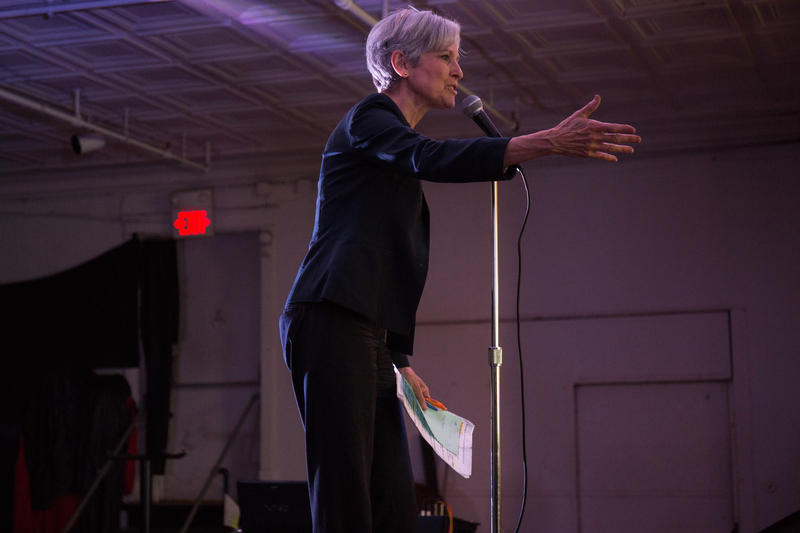 The main talking point of the rally was to get volunteers to collect signatures for a petition to have her named added to the Missouri ballot for the presidential election. 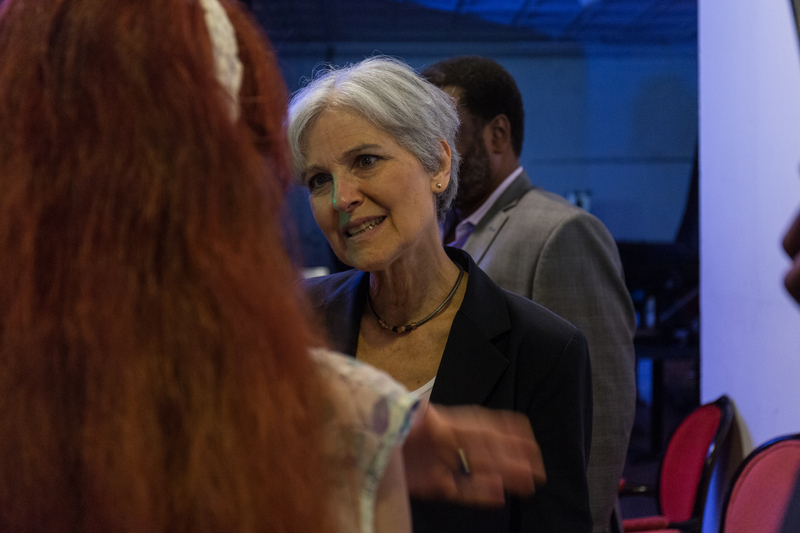 After the speech there was a short Q & A session, and Dr. Stein with a group of volunteers left the venue to attend Fair St. Louis to help gather more signatures. 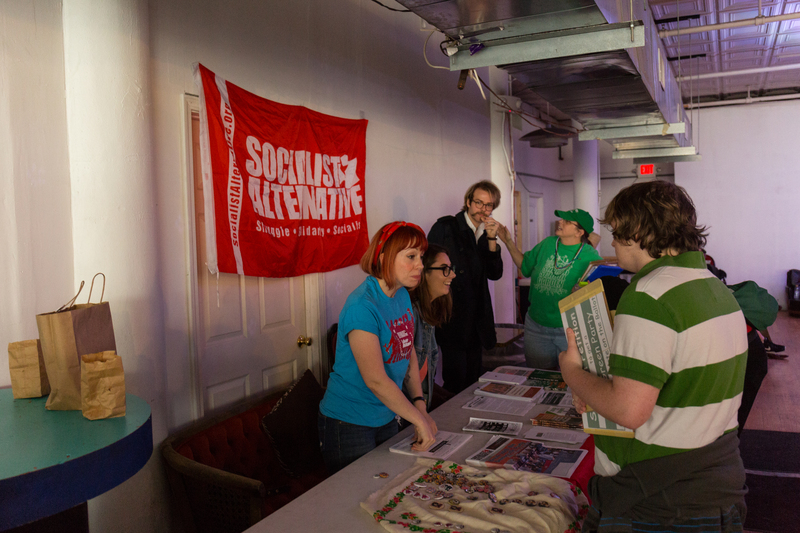 Members of the Socialist Alternative group hosted a table at Jill Stein’s campaign event at 2720 Cherokee in St. Louis, MO. 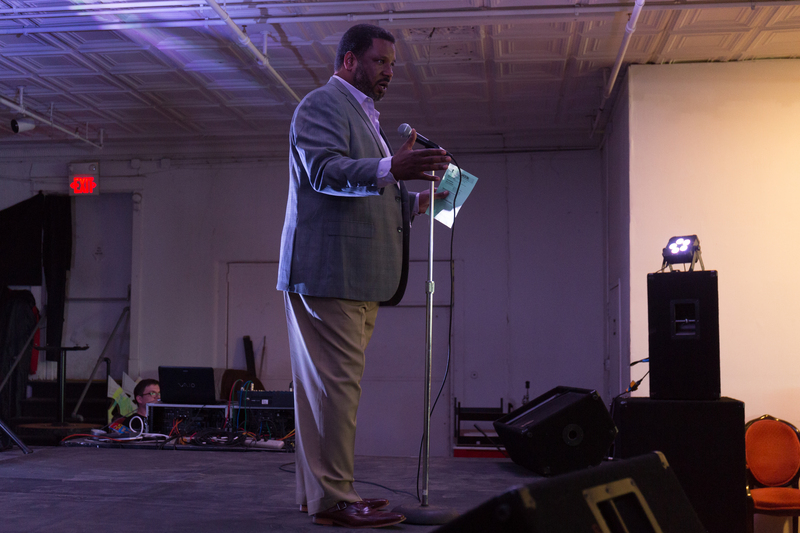 Elston K. McCowan, the team coordinator of Missouri Green Party Ballot Access, introduces Dr. Jill Stein at her campaign rally in St. Louis, MO on July 3, 2016. 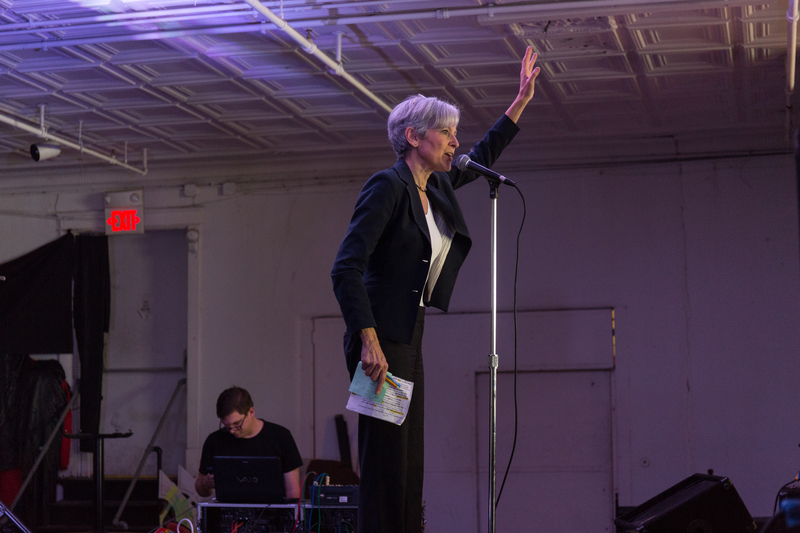 Dr. Jill Stein takes the stage at her campaign rally in St. Louis, MO on July 3, 2016. 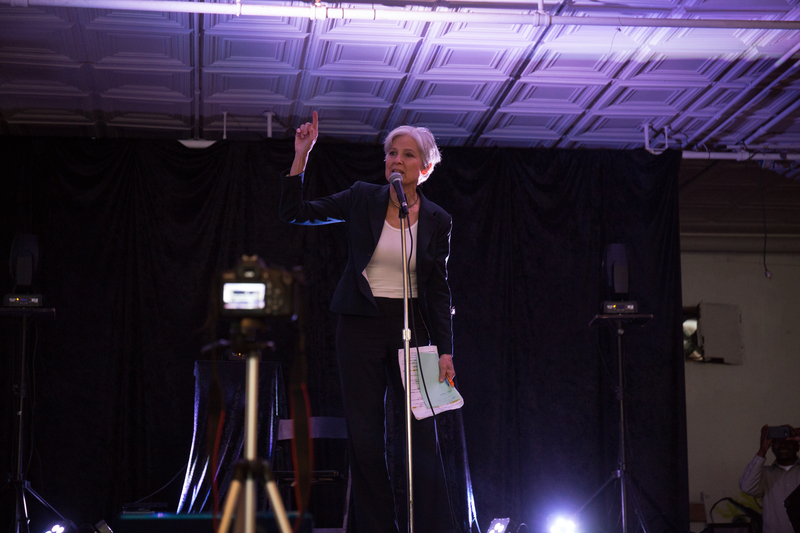 Jill Stein speaks to a room of nearly 200 supporters at her campaign event in St. Louis, Missouri on July 3, 2016. 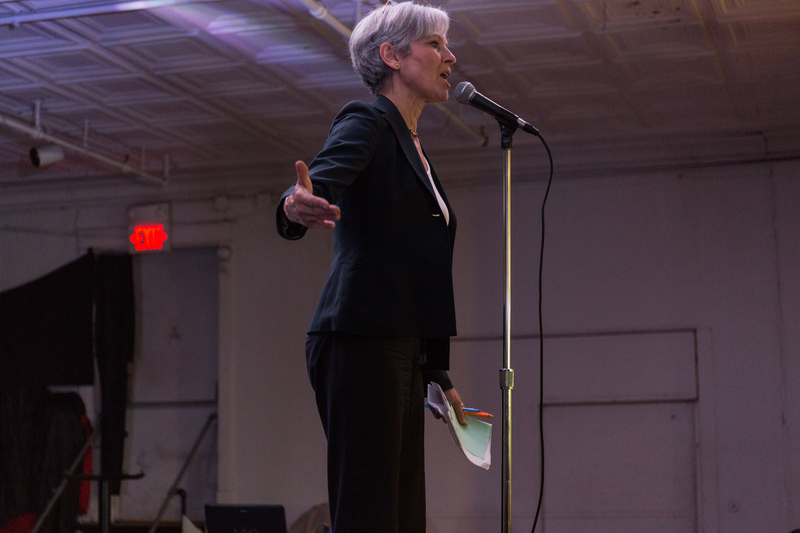 Jill Stein speaks to a room of supporters at her campaign event in St. Louis, Missouri to have her name added to the Missouri ballot for the 2016 presidential election on July 3, 2016. 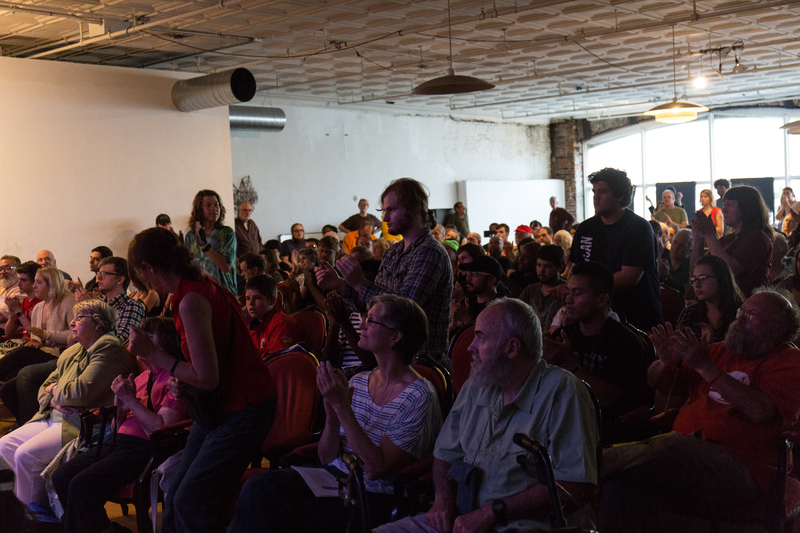 The crowd of supporters applaud for issues raised by Dr. Jill Sten during her campaign speech at 2720 Cherokee in St. Louis, MO on July 3, 2016. 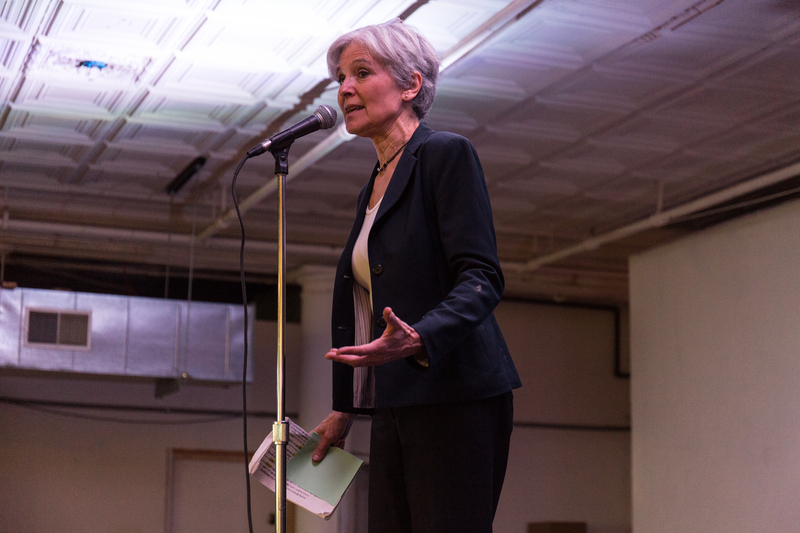 Jill Stein speaks about her stance on issues and the petition efforts to have her name added to the Missouri presidential ballot in St. Louis, MO on July 3, 2016. 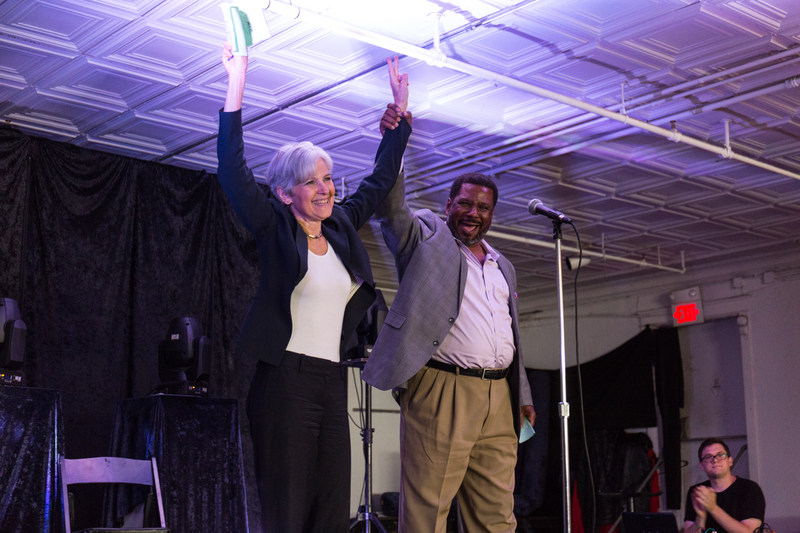 Elston K. McCowan joins the stage with Dr. Jill Stein at the end of her speech to get volunteers to take petitions and collect signatures to have Stein added to the presidential ballot in Missouri on July 3, 2016. 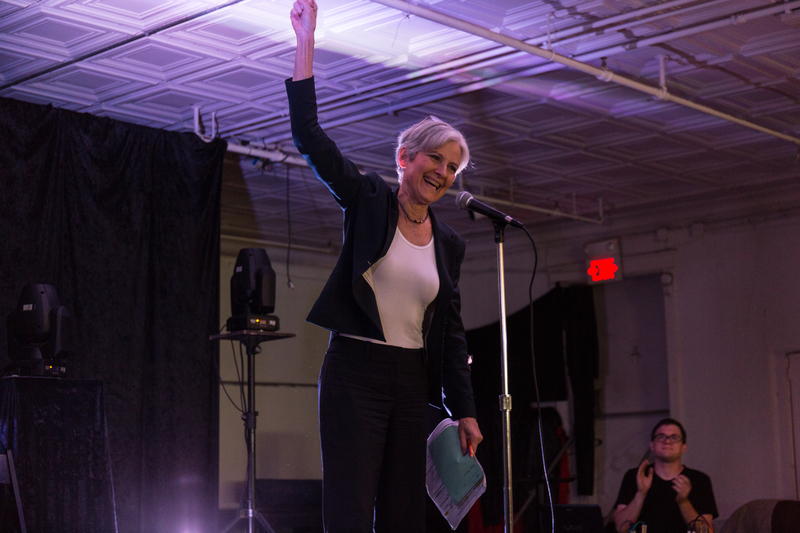 Dr. Stein asks the crowd to pose for a selfie after her speech in St. Louis, MO on July 3, 2016. 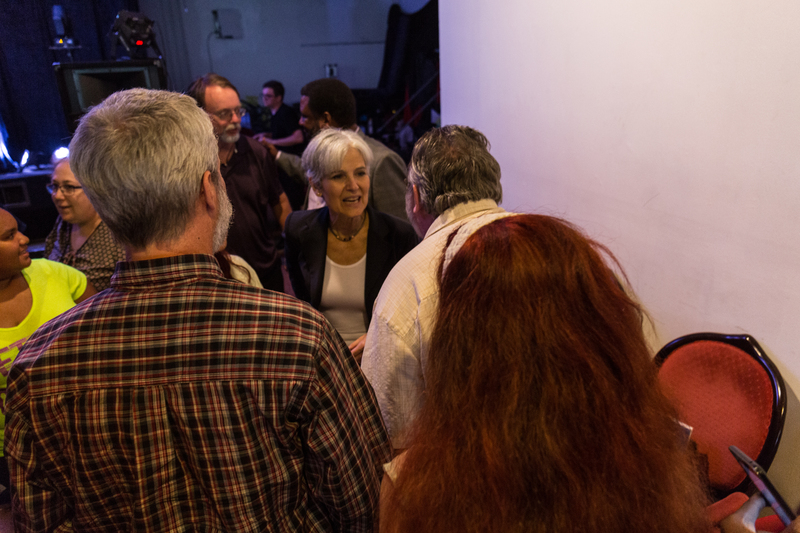 Presumptive Green Party presidential nominee Dr. Jill Stein greets supporters and takes questions after her speech in St. Louis, MO on July 3, 2016.